An international award-winner as both a violinist and composer, Alice has performed across America, Canada, Czech Republic, and China and participated in music festivals such as Kneisel Hall, Sarasota Music Festival, the Banff Centre, Spoleto Festival USA, and Heifetz Institute of Music, among others. Named one of CBC’s “30 hot Canadian classical musicians under 30”, Alice is a grand-prize winner of the IMKA International Competition and has also performed alongside esteemed musicians such as James Ehnes, Frans Helmerson, Mihaela Martin, Toronto Symphony Orchestra concertmaster Jonathan Crow, St. Lawrence String Quartet's Christopher Costanza, and with the Toronto Symphony Orchestra, Charleston Symphony Orchestra, and Kitchener-Waterloo Symphony as a substitute violinist. She has been a featured composer-performer in Atlanta Symphony’s "Conversation of Note" series with conductor Robert Spano. She also tours with Lincoln Center Stage, performing chamber music on Holland America Line cruise ships all around the world. As a composer, Alice had her first symphony performed at age 11 and has since had compositions performed and read across North America, Europe, and Asia by the Toronto Symphony Orchestra, Amersfoort Youth Orchestra and Ludwig Symphony Orchestra, members of the New York Philharmonic, principal members of the Canadian Opera Company and National Ballet of Canada, Cypress String Quartet and Rolston String Quartet, among others. She is published by Edition MatchingArts and has won multiple awards from the ASCAP Morton Gould Awards and first prizes from the International Keuris Competition, Pikes Peak Competition, and the Carl E. Baldassarre Composer-Virtuosi Competition, as well as third prize and audience prize from the Land’s End 17th Composers Competition. She herself has had the opportunity to perform her own compositions at the Kennedy Center in Washington, D.C. and as part of Spoleto Festival USA. Alice holds degrees from Rice University and the Cleveland Institute of Music, and she recently earned her Doctorate in Musical Arts from the University of Toronto. Award-winning violinist Alexis Meschter was recently appointed concertmaster of Central City Opera and is currently a member of the Buffalo Philharmonic. He performs as soloist and chamber musician in the US, Canada, and in Europe. In 2016, Alexis was the winner of the William Marbury Competition at the Peabody Institute as well as the first prize winner of the LISMA Foundation International Competition on Long Island, NY. In past seasons, Alexis has studied and performed at The Banff Centre, Summit Music Festival, Casalmaggiore International Music Festival, and the National Symphony Orchestra Summer Music Institute. A firm proponent of performing music across genres, Alexis performed at the TED Summit Concert in the summer of 2016 with the cellist Joshua Roman, the Nigerian singer Iyeoka, and the Kenyan rock star Blinky Bill and his band. Alexis also strives to bring his music to under appreciated communities and diverse spaces, partnering with the Creative Access Program in Baltimore as well as the Yellow Barn Music Haul Initiative. 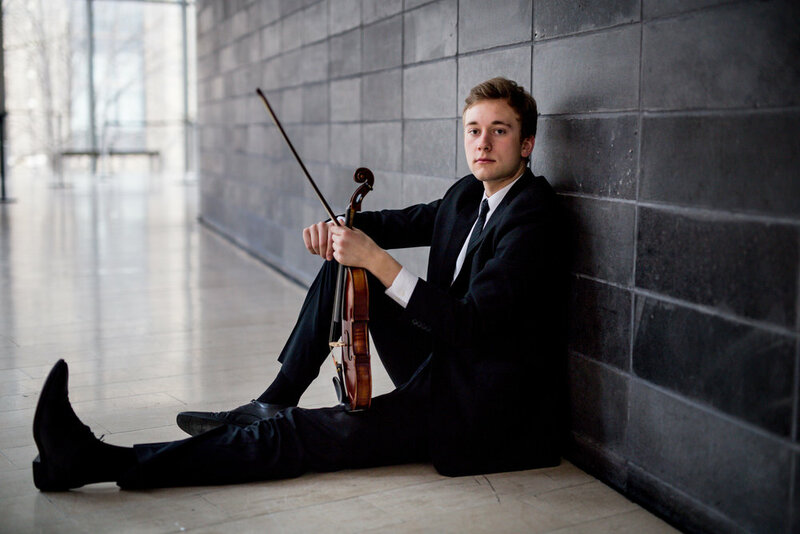 Alexis Meschter studied at the Peabody Conservatory of the Johns Hopkins University in Baltimore and is continuing his studies with the renowned Russian violinist and teacher Victor Danchenko at the Glenn Gould School of the Royal Conservatory in Toronto and is a recipient of The Shan & Jaya Chandrasekar Scholarship. Described by NPR as “outgoing, nerdy, and unabashedly enthusiastic about classical music,” Drew hails from The Juilliard School, regularly performing throughout the United States. 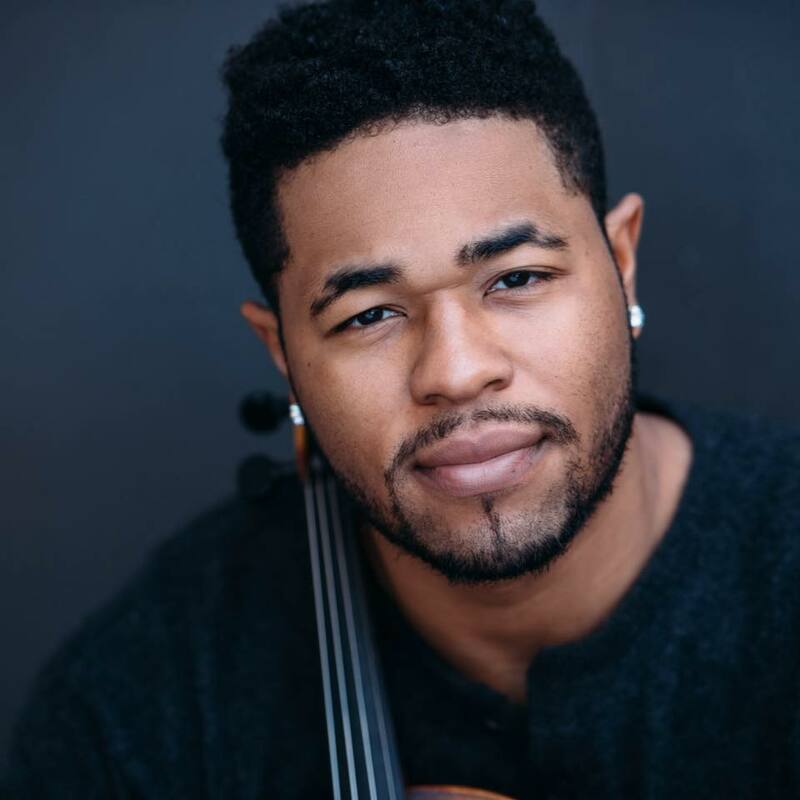 This coming September, Forde will be performing the Forsyth Viola Concerto with the National Orchestra of the Dominican Republic for his professional solo debut. Although Drew has finally begun a career as a soloist with a Spivey Hall debut coming this November, he is also an accomplished Chamber Musician. Having studied under Lawrence Dutton of the Emerson String Quartet, Drew has performed with some of the industry’s leading performers including Nadja Salerno-Sonnenberg, the St. Lawrence String Quartet, Robert McDuffie, and Amy Schwartz-Moretti to name a few. Drew has also collaborated with the eccentric rapper Mac Miller alongside Ariana Grande, Cee Lo, and Kendrick Lamar on the album The Divine Feminine. Additionally, Forde is credited for performing the viola on the upcoming release of Final Fantasy XII remake. As one of the most-followed Classical Musicians on Instagram as "ThatViolaKid", Drew is a mentor and motivational content creator that doesn’t just inspire younger musicians to pursue their passion, but he also creates a community of positivity and self-improvement through his hashtag campaign, #PlayHomiePlay. Considered among “Canada’s most promising and brilliant young musicians” and recognized for his musically “refined sensitivity” [Calgary Herald], Canadian-American cellist Britton Riley enjoys a diverse musical career as a performer, teacher, artistic director, and recording engineer. Formerly Assistant Principal of the Calgary Philharmonic Orchestra, he joined the Toronto Symphony Orchestra in 2015 at the age of twenty-seven. Mr. Riley has recorded for film and radio for Sony Pictures, CBC Radio 2, Classical KUSC, and the Detroit Symphony Orchestra’s Live from Orchestra Hall series and live performances have brought him to venues such as Carnegie Hall, Boston Symphony Hall, Chicago’s Orchestra Hall, Walt Disney Concert Hall, Barcelona’s Palau de la Musica Catalana, Konzerthaus Vienna, Smetana Hall in Prague, and Temppeliaukio Church in Helsinki, among others. In recent years, he has performed alongside Colin Carr, Levon Chilingarian, Steven Dann, Ernst Kovacic, and Raphael Wallfisch and under conductors Sir Andrew Davis, Peter Oundjian, Leonard Slatkin, Roberto Minczuk, Johannes Debus, Lior Shambadal, Carl St. Clair, and John Williams. Mr. Riley has received recognition throughout North America in the National Foundation for the Advancement in the Arts Awards (now YoungArts) and Boston Symphony Orchestra’s Concerto Competition as well as the Sphinx and Hellam Competitions. He has performed at music festivals throughout North America and Europe, including the Banff Summer Music Festival, New York String Orchestra Seminar, Music by the Sea, Le Domaine Forget Chamber Music Festival, Weimarer Meisterkurse, St. Lawrence String Quartet Seminar, and the Sunflower Music Festival. Mr. Riley has also been self-employed as a recording engineer since 2007, working with a variety of artists and ensembles ranging in genre from Classical and Jazz to R&B and Hip-Hop. While living in Los Angeles, he worked in the Rap Promotions department at major record labels including Interscope, Geffen, and A&M Records and as a USC Thornton School of Music approved audio engineer. He is the founder and Artistic Director of Chamber Music @ NewPark, a series which brings musicians from around the world to the heart of the Finger Lakes to relax, rehearse, and perform in a unique and intimate setting surrounded by nature. Mr. Riley has a strong interest in collaborating with artists of various disciplines, especially dancers and photographers. Among his many interests, he enjoys traveling, nature, sports, cooking, hiking, and photography. Described as a “thoughtful and immensely exciting performer” with “scintillating technique” (Barrie Examiner), pianist Benjamin Smith has performed as soloist and chamber musician across both Canada and the United States. He has been a laureate of numerous competitions, including the Dublin International Piano Competition, the Virginia Waring International Piano Competition, and the CMC Stepping Stone Competition. Guest appearances include the Stony Brook Symphony Orchestra, the New Juilliard Ensemble, the Ontario Philharmonic, Orchestra London, Symphony-on-the-Bay, the Windsor Symphony, and the University of Toronto’s Hart House Orchestra. As soloist, he has performed under esteemed conductors such as Rossen Milanov and Marco Parisotto, with concertos including rarities such as the Schoenberg Piano Concerto. Festival appearances include Toronto Summer Music, Banff Summer Arts, Stratford Summer Music, Colours of Music (Barrie, ON), and Music Niagara (Niagara-on-the-Lake, ON). American performances include recitals for the Texas Chopin Society and Chicago’s Landowska Harpsichord Society, as well a world premiere for the Long Leaf Opera Festival in Raleigh, NC. Recent highlights have included Gershwin’s Rhapsody In Blue in Carnegie’s Zankel Hall, as well as multiple recitals with acclaimed violinist Martin Beaver (Tokyo String Quartet). Current releases on disc include a recording of new cello transcriptions with Canadian cellist Dongkyun An, as well as an album of newly-commissioned chamber works featuring various Native flutes with Toronto’s Grammy-nominated virtuoso Ron Korb. Dr. Smith currently resides in Toronto, working as a lecturer, coach, and collaborator for the Glenn Gould School (GGS) and the Taylor Young Artist Academy at the Royal Conservatory. Previously, he held a position on the piano faculty at the University of Western Ontario, and has also served as an undergraduate piano instructor for the Department of Music at Stony Brook University. His principal teachers included Andrea Battista, James Anagnoson, Julian Martin, and Christina Dahl. Along with a DMA from Stony Brook University, he holds a Bachelors degree from the University of Toronto, an Artist Diploma from the GGS, and a Masters from The Juilliard School. Aaron Tsang is a Canadian composer for film, videogames, commercials and television. In 2006, he created Lightmotif Scores, a music and audio post-production company in Toronto and has provided original music and audio services to numerous films, television commercials, and videogames. To date, Aaron has composed music for over 20 videogame titles for Capcom, Konami, Glu, Blammo, Frima, and Dark Matter Inc. Notable titles include “Smurfs’ Village”, released in 2010, which was downloaded over 56 million times as of March 2012. With Beeline Interactive (Capcom), Aaron also worked on a Dreamworks Pictures’ franchise, “Shrek’s Fairytale Kingdom” as well as the “Ghostbusters” title from Sony Pictures. More recently, Aaron’s company, Lightmotif Scores, created all the music and sound design for “Kim Kardashian: Hollywood”, a mobile game from Glu Mobile that managed to reach over 20 million global downloads only 3 months after its release in June 2014. The game continues to be one of the highest grossing games on iTunes and Google Play. Currently, Aaron is completing his work with Glu Mobile for another celebrity mobile game for Kylie and Kendall Jenner. In 2014, Aaron was the composer for “Dino Hunt Canada”, a television show on the History Channel that chronicles the Royal Ontario Museum’s paleontological discoveries. In the same year, Aaron was awarded “Best Original Score” for his orchestral score to the first season of “Pete Winning and the Pirates” at the 5th Annual Indie Series Awards (ISA) held in Los Angeles. He was awarded “Best Original Score” again the following year for season two of the same show at the 6th Annual Indie Series Awards. In 2012, Aaron was awarded “Best Score” at the Underdogs Film Festival in Texas for his orchestral score to the feature film “The Blue Seal”, which was previously also awarded a nomination for “Best Original Score” in 2010 from Action on Film Festival (AOF) in Los Angeles. In the winter of 2011, the Toronto Symphony Orchestra (TSO) recorded Aaron’s music for a Tim Hortons television commercial featuring Sidney Crosby. In 2012, Aaron was commissioned by the University of Toronto to compose the “Boundless” fanfare – an anthem celebrating the university and its new $2-billion fundraising campaign. The fanfare has since been performed live at all University of Toronto faculties and campuses both as part of the “Boundless Campaign” and at various university functions. Aaron has also been a prolific teacher of music theory, harmony and counterpoint, having prepared hundreds of students for their Royal Conservatory of Music examinations over the last 10 years. In 2011 Aaron created and taught a graduate level course at the Univesity of Toronto Faculty of Music on MIDI Sequencing. Aaron is a graduate from the University of Toronto Faculty of Music with a B.Mus and M.Mus in musical composition, both under the tutelage of Christos Hatzis. A community-building initiative by Toronto's Pocket Concerts, Acquired Taste is a choir for professional instrumentalists who are interested in singing. Acquired Taste's aim is to create an environment where highly trained musicians can explore their love of music in a new way, rediscovering the "amateur musician" mindset in a judgement-free environment. With the help of top-notch instruction from director Mitchell Pady, the ensemble works together to present concerts to be proud of, for the benefit of their musical community and the community at large. Above all, they have a great time, sing our hearts out, and bring beauty to the world. VC2 is an innovative cello duo able to captivate audiences through their performances of classical masterworks, unknown gems and boundary pushing music. Comprised of cellists Amahl Arulanandam and Bryan Holt, the Toronto-based duo presents artistically challenging yet accessible programs and has performed in venues ranging from intimate pubs to Roy Thomson Hall. Both Mr. Holt and Mr. Arulanandam wear many musical hats as orchestral, chamber and session musicians in the Greater Toronto Area. They have performed as part of leading arts organizations including the Toronto Symphony Orchestra, Canadian Opera Company Orchestra, National Ballet of Canada Orchestra Soundstreams, Art of Time Ensemble, Continuum Contemporary Music, Pocket Concerts, New Music Concerts, Music in the Barns, Thin Edge New Music Collective, Contact Contemporary Music and Tapestry Opera. They are also both members of Haimovitz’s ensemble, Uccello, and were semi-finalists in the 2015 Eckhardt-Gramatte competition. The duo have been featured artists at Ottawa Chamberfest, Ottawa New Music Creators, 21C Music Festival, Huronia Cultural Campus’ The Gathering, Ritornello Festival, and the Prairie Cello Institute. Formed in 2015, the pair met in 2008 while at the University of Toronto where they studied under Shauna Rolston. They chose to continue their studies at the Schulich School of Music of McGill University where they completed their Master’s Degrees with Matt Haimovitz. As luck would have it, they both found themselves back in Toronto and a musical partnership was born. The music of our time is an art form close to the heart of VC2. They strongly believe in the support and creation of new works by living composers, especially those from their home country of Canada. To this end, VC2 is in the middle of a commissioning project where they are working with five Canadian composers to create works based on the Beethoven Cello Sonatas. VC2 seek to take a place at the forefront of the Canadian chamber music world, bringing their unique brand of cello-fueled music coast-to-coast. In February 2018, VC2 will be embarking on a tour of the East Coast, presented by Debut Atlantic. The duo recently returned from the soundSCAPE performance and composition exchange in Maccagno, Italy bringing home with them a number of new works by emerging international composers.